Temperatures are soaring, and guests are on the lookout for fresh ways to cool down. Now is the time your beverage menu plays a vital role in attracting new customers and enhancing their experience. It’s also a great opportunity for you to strike while the iron is hot by introducing fresh brewed iced tea recipes to your menu. As tempting as it may be to sip on sodas, diners are more conscious about their thirst-quenching choices. 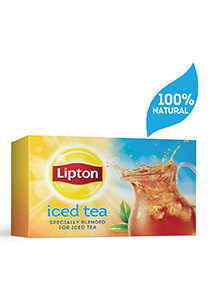 Fresh brewed iced tea is a healthier alternative that your guests will love as much for its low-calorie count as its refreshing taste. Diners crave fresh, fruity flavours more than ever in summer. Use summer’s most seasonal fruits like strawberries, mangoes and watermelon to ensure your fresh brewed iced teas are bursting with delicious flavours and colours that taste and look amazing.